- Ship by Official Sole Distributor Corvan Asia Sdn. Bhd. Neato Botvac™ filters are extra large to capture more dirt and debris than other accessory vacuums. Keep your home clean by changing the filters frequently – once every 3 to 6 months,depending your usage. They are easy-to-change – just pop out and replace. Compatible with Neato Botvac Connected, Neato Botvac Series and Neato Botvac D Series Robot Vacuum Cleaners. Compatible/imitation/copy/alternative or whatever they call it, are of low quality in order to cut cost. These low quality filters may look similar tothe genuine ones. However, you will notice that they either clog up muchfaster and affect the suction power and hence cleaning abilityof your Neato ORthe pores on the filter mesh are too largeso that fine particles get to passed through and recirculate in your room. Either way, they defeat yourpurpose of getting the world's BEST robotic vacuum in the first place. 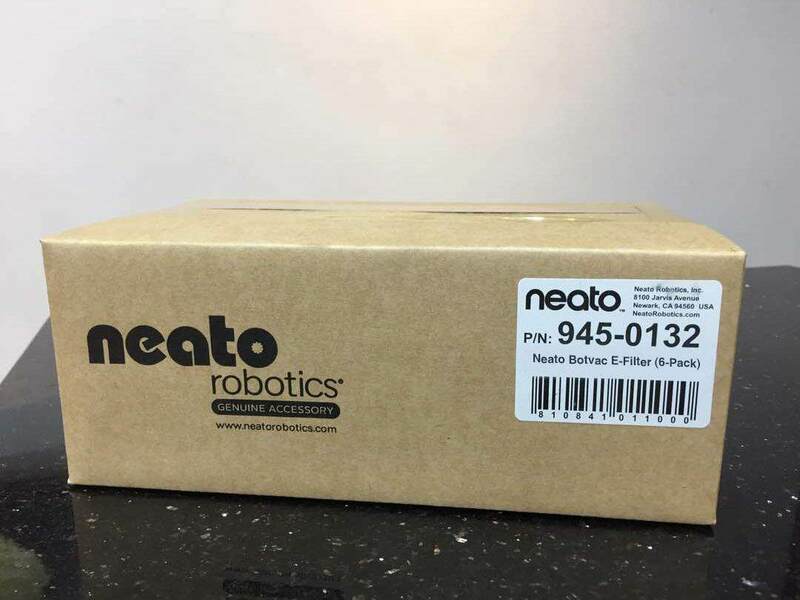 Insist on the original Neato filter to optimise the performance of your Neato and keep your floors clean! Quantity purchase as per the packing quantity will be sent in this original box depends on availability. Loose quantity may be packed separately.